“FBI Director James Comey refused Wednesday to confirm under oath whether the bureau is investigating accusations related to whether the Obama administration spied on President Trump’s election campaign and transition team, while revealing his loss of confidence in the Justice Department and Loretta Lynch. At the beginning of a Senate Judiciary Committee hearing Wednesday, Chairman Sen. Chuck Grassley, R-Iowa., asked Comey if the FBI was investigating whether information about the Trump team was leaked to the media. The director replied that he could not confirm that in public without authorization from the Justice Department, which, he said, would have initiated any such investigation. Grassley indicated he would ask the Justice Department to provide the authorization to confirm if there is such an investigation. Comey had also refused to confirm that FBI was conducting an investigation into leaks to the press on the Trump team by the Obama administration during an open hearing by the House Intelligence Committee on March 20. On Wednesday, during what was a regularly scheduled annual oversight hearing on the FBI, Grassley asked Comey a series of questions related to possible spying on the Trump team, but Comey gave the same response each time: He could not reply in a public forum. Again, Comey wouldn’t answer in public. “We need to know whether there was anything improper going on between the Trump campaign and the Russians, or if these allegations are just a partisan smear campaign that manipulated our government into chasing conspiracy theories,’’ Grassley said. Grassley specifically wants to know more about a dossier the FBI used to obtain a FISA warrant to allegedly spy on Trump associates. The dossier was also used to justify allegations of collusion between the Russian government and the Trump team. But the dossier’s most sensational allegations have been discredited. “Former U.S. Attorney, Joe Digenova appeared as a guest on Tucker Carlson tonight saying James Comey is a danger to the country and he should have been fired. Earlier today, FBI Director, James Comey admitted that Huma Abedin regularly forwarded classified information to her husband Anthony Weiner’s computer. This sparked another outrage by patriots who desperately want Hillary Clinton and everyone involved in this scandal to be brought to justice–including Comey. Joe Digenova: “I got mildly nauseous today listening to his testimony one more time. James Comey is a danger to the country. He surrounds himself with his own cult of personality. He believes he is the righteous, last righteous man left standing. When he held that news conference on July 5th and accused Hillary Clinton and then exonerated her, he violated every rule and regulation of the Department of Justice. He should have been fired that day. He should never have been permitted to stay after the inauguration. He should be fired now for the testimony that he has given over the last few months. “About two dozen residents of the coastal Southern California city of Oceanside protested outside City Hall on Wednesday afternoon to oppose an effort to impose what they call a racist voting system on their city. The group, calling itself the Oceanside Citizens Coalition, included local residents as well as representatives of the Oceanside Republican Women Federated, the Tri-city Tea Party, the Ocean Hills Republican Club, San Diegans for Secure Borders, and the San Diego Patriots. The Oceanside city council is considering a proposal to divide the city into separate voting districts, which would each elect one member to the council. One or more districts would be created specifically to produce minority council members. Currently, the city council’s five members are elected on an at-large basis, where each is accountable to the electorate as a whole. The at-large system is common in small communities throughout the state. The change is being prompted by a March 22 letter from Malibu, California-based attorney Kevin Shenkman, who alleged that the city’s current at-large council system violates the California Voting Rights Act (CVRA) of 2001. In the letter, Shenkman claimed that the at-large system discriminates against racial minorities, because the racial majority can vote in a bloc to exclude minorities from office. Linda Gonzales herself (above left) disagrees. “I lost because I was running against two incumbents who had been on the council 16 years,” not because of racism, she told Breitbart News at the protest. Gonzales, who has lived in Oceanside for 50 years, joined the demonstrators to oppose the new districting system. She was also irritated that Shenkman used her name in his letter to the city. “I called them immediately, and told them I don’t believe in identity politics,” she recalled. According to the U.S. Census, Oceanside is 65.2% white, 35.9% Latino, and 4.7% black. One of the city’s current five council members, Esther Sanchez, is Latina. In a press statement, the Oceanside Citizens Coalition noted that the local community had elected several Latino leaders without discrimination or interference. “[O]ur fair and equitable at-large voting system … has given us such fine city representatives as Assemblyman Rocky Chavez, 5-term current councilmember Esther Sanchez, Mayor Terry Johnson, and Luci Chavez, who have all been elected to high city positions over the past 25 years,” spokesperson Patti Siegmann said. The city also recently had a black mayor, Terry Johnson. Resident Mike Richardson, who was born in Oceanside, said of Sheknman’s effort: “It’s a fraud. It’s such a welcoming, inclusive, friendly city. There is no racial division here. “It is a total lie. They don’t know us, they don’t care about us. They just have an agenda of their own,” he told Breitbart News. Shenkman’s law firm, Shenkman & Hughes, reportedly represents the Southwest Voter Registration Education Project (SVREP), an organization that is based in Texas and has an office in Los Angeles. SVREP’s mission, according to its website, is “to empower Latinos and other minorities by increasing their participation in the American democratic process.” It was founded by Mexican-American activist Willie Velasquez in the 1970s. Shenkman’s firm is based in Malibu, California, an elite coastal enclave that is 91.5% white and is popularly known as a playground for Hollywood stars. 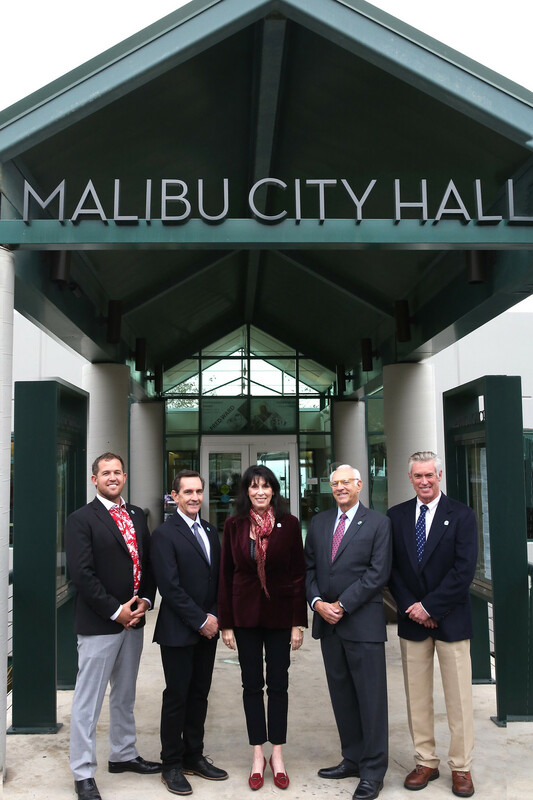 Malibu has an at-large city council — the same system Shenkman sues other cities to destroy — of five members, all of whom are white, as of the current term.